Notes: Provost Officer. General List. He was born and resided in Edinburgh. War Diary WO 170/7088 102 Company TC, Italy. 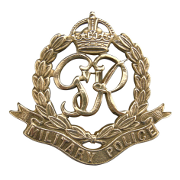 20/1/45 Injured in traffic accident on the auto strada near Pompei with L/cpl Baker. Dangerously ill at No. 1 RAF General Hospital. 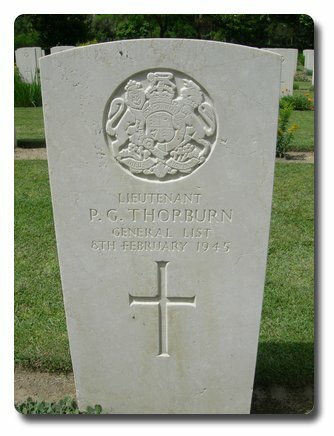 8/2/45 Lt Thornburn died. 9/2/45 Lt Thorburns funeral. Death also mentioned in War Diary of 111 Pro Coy, WO 170/7004. 26/6/44 to 49 Company (TC), Italy. No inscription on gravestone.